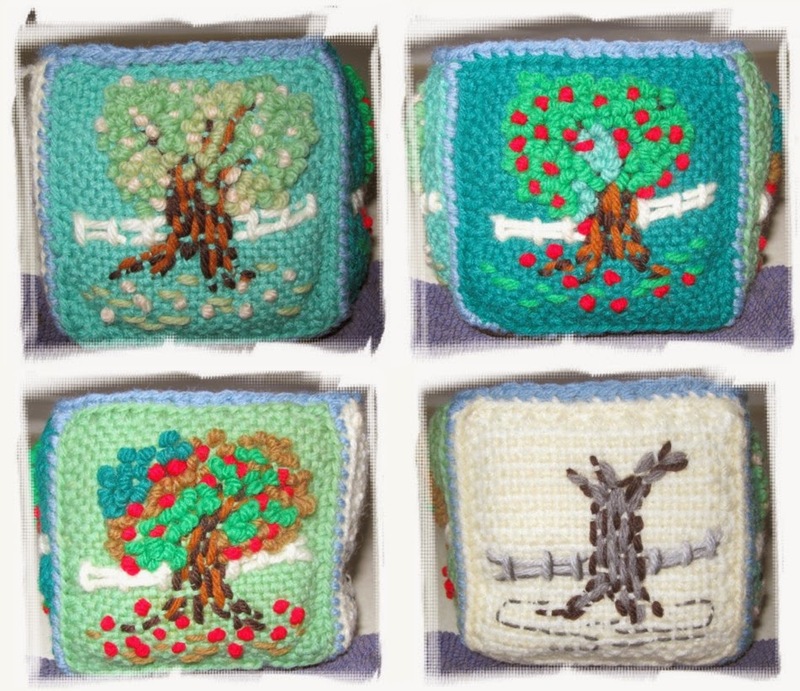 There is no rule, as far as I know, that says that all yarn bags must look like something that your Great Aunt Harriet or that scary old lady in the Wizard of Oz would make, but that seems to be the prevailing idea. 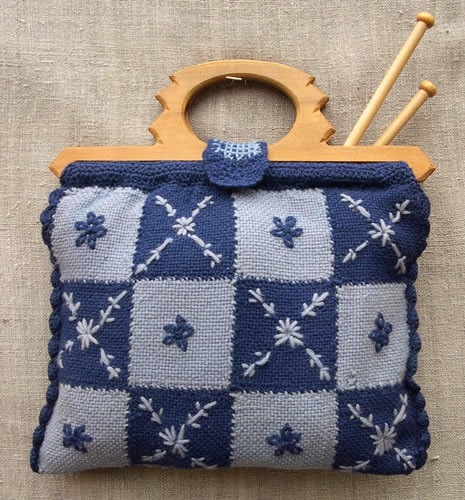 The upside is that yarn bags are so old fashioned and usable that they never really go out of style. 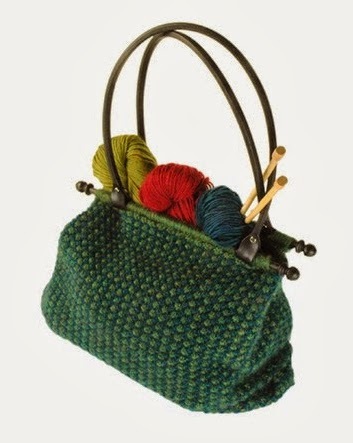 I think that we are on the verge of a great Yarn Bag Renaissance- at least I hope so. 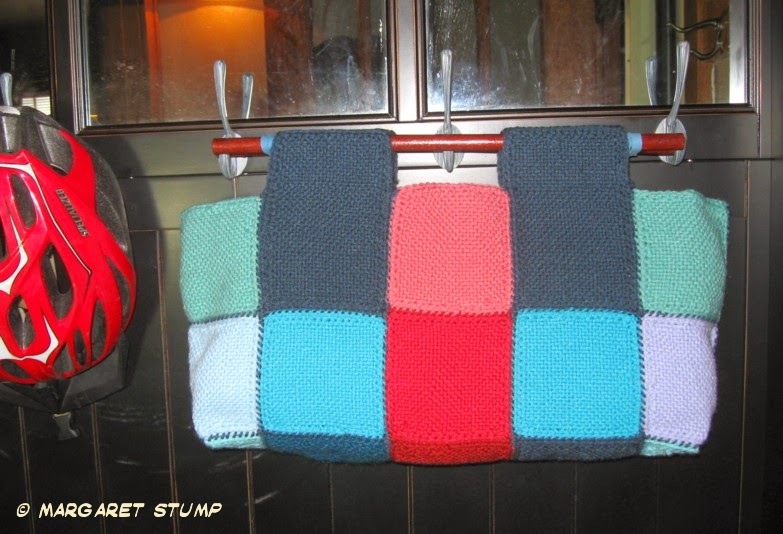 After all, there is an enormous amount of fabulous yarn around these days, we need a few good yarn bags to carry it. 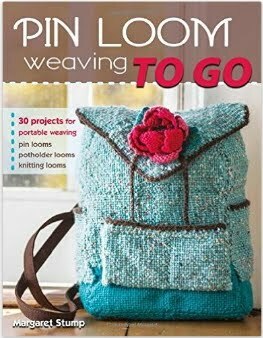 I will modestly confess that I have a pattern for a truly marvelous yarn bag in my book Pin Loom Weaving, now available for purchase. 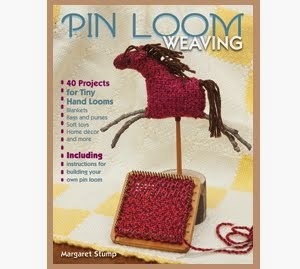 Pictures of all the Pin Loom Weaving items can be found under the page heading, Pin Loom Weaving; The Book. My first yarn bag was the product of falling out of love with an earlier project and having a bunch of weavies already made into right triangles. 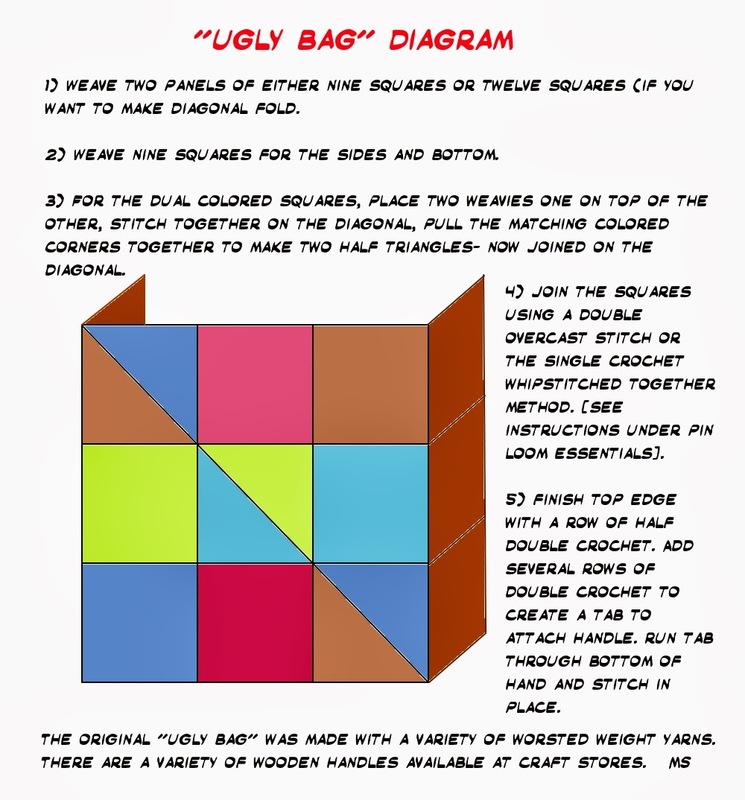 This bag strikes me as the epitome of ugly but useful. It is nice and heavy and will handle all sorts of weaving items. See a simple pattern below. I left out the part about turning the weavies into triangular pieces first, that seems a lot of work for no purpose, but I have posted notes on how to make dual colored weavies to recreate that effect. 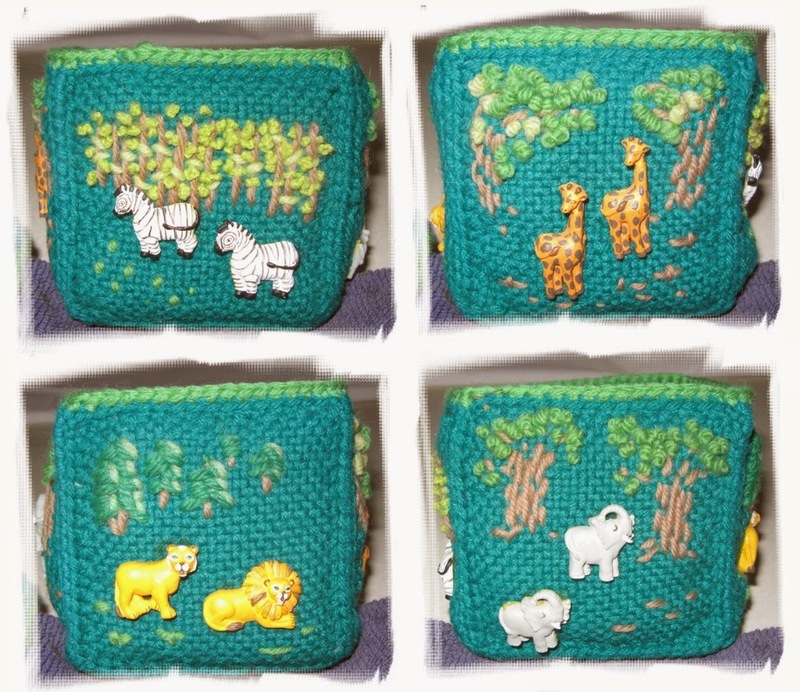 Soft boxes combine the fun and creativity of pin loom weaving in a medium size project. A lovely little 3-D box that comes with a canvas on each side. These boxes were made as gifts. 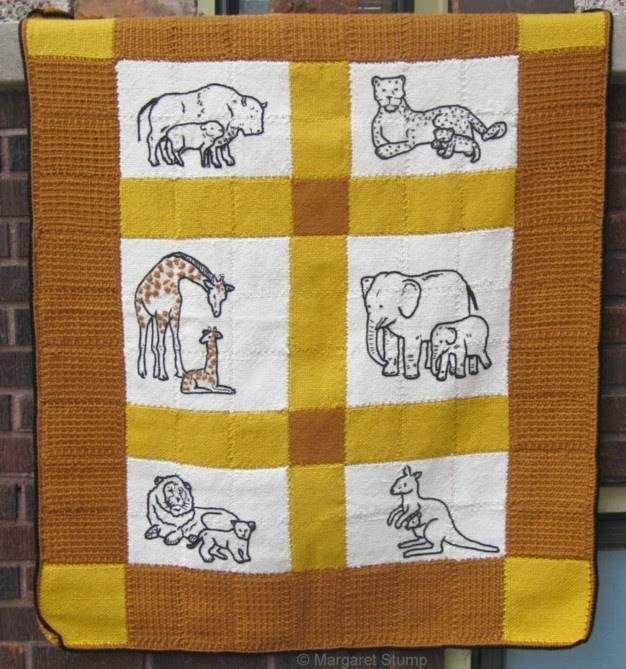 The attached jungle animals and cats are buttons that are usually available at fabric stores. Each soft box is constructed from twelve 4"x4" squares. 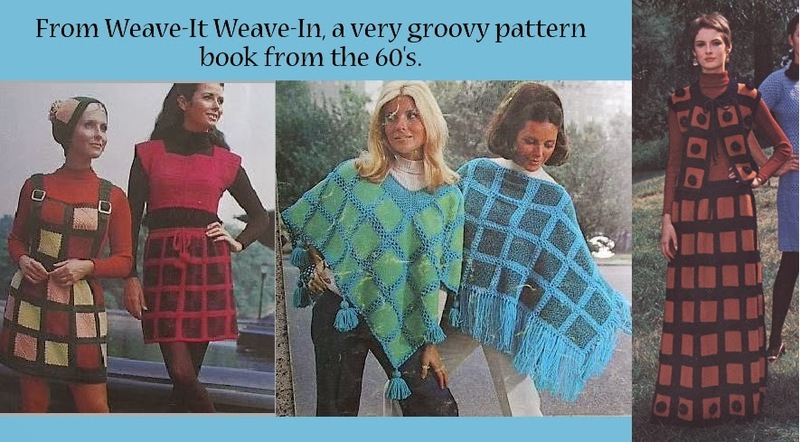 The squares were woven on a pin loom, then a single crochet edge was added. 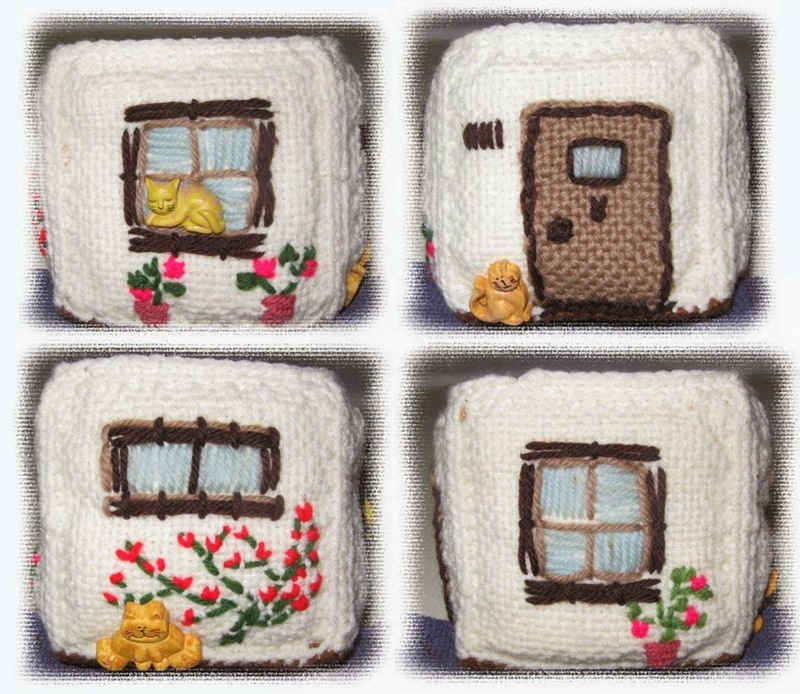 The exterior squares were finished with free stitching, buttons and yarn pulled through using a crochet hook to create loops. After completing the embellishment, an exterior weavie is sandwiched with another weavie for the lining (I usually weave a lighter matching color for the interior) with several layers of quilt batting in the middle. The two woven layers with batting are whip-stitched together. The sides and bottom are whip-stitched to create a box. 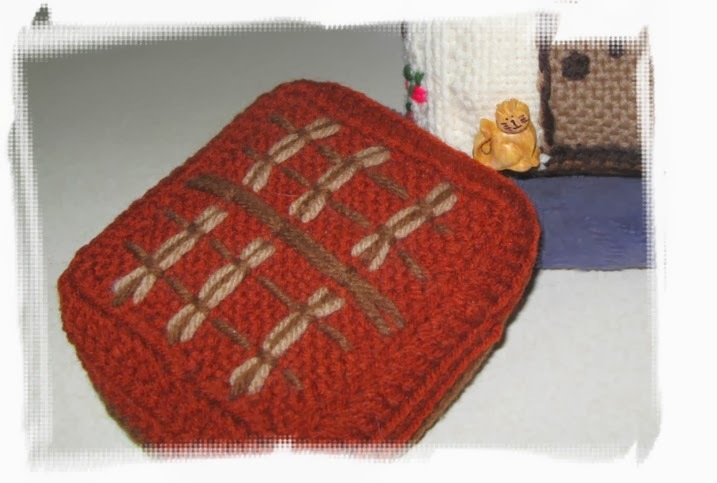 The top edge of the box is finished with a single crochet row to give it extra structure and to carry the color that was used for joining around the top. 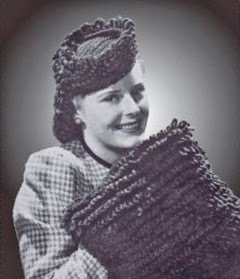 The soft boxes were made primarily with medium weight worsted wool. You may notice that the background of the "Winter" side of the Four Seasons box is woven with stripes of white and a cream color. This is accomplished by winding one color on the pin loom for the first two layers, then knotting on the second color to use for the third layer of winding and to weave through. 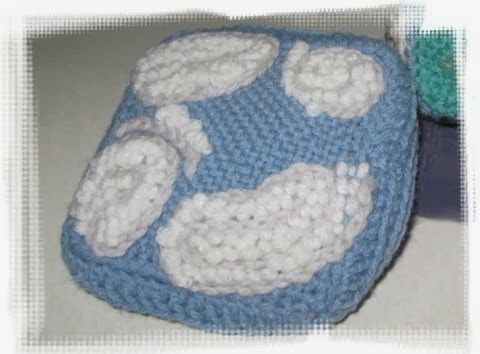 The top of the soft box was made by the same process as the sides with the addition of an extra row of single crochet, chain 2 at each corner, then two rows of half-double crochet with no added chain stitches to create a box lid. The boxes have proved to be very lasting and reasonably useful. 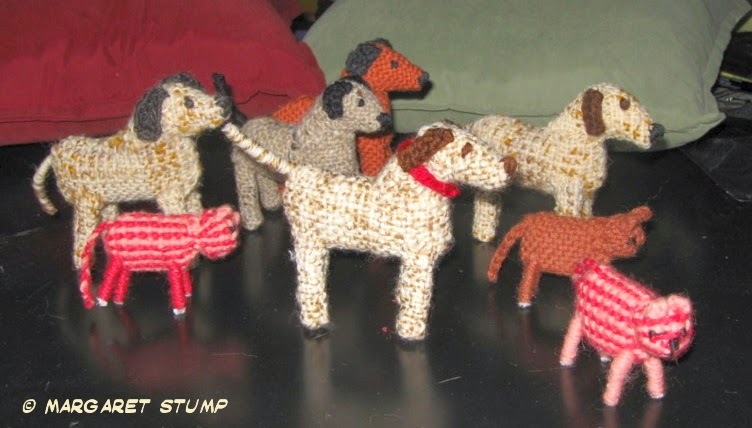 Most end up being used primarily as ornaments and holders for jewelry or other personal items. I use one when I travel to protect a glass cologne bottle. They are soft and crushable and easily straightened out at the end of the trip. One thing that surprises me when making a soft box is just how much weaving and work goes into it. That may sound like an unfortunate admission but what you get out of the work is a small but treasured prize.